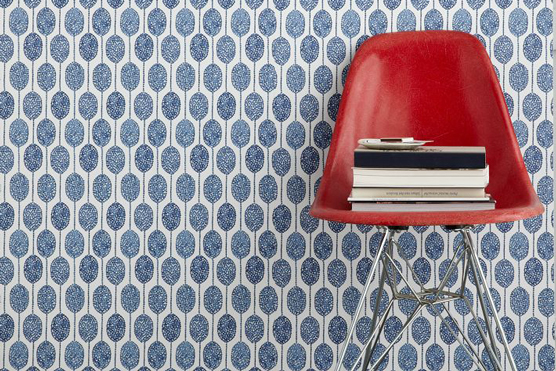 It’s hard to think of ‘design’ without the term ‘color’ coming to mind almost instantly. Like many people, I was in love with my crayon box as a kid – one of my favorite crayon colors was blue violet. Becoming a designer meant getting to dabble in color even more, and learning the right times and places to go easy, or go bold. Spring is in bloom! 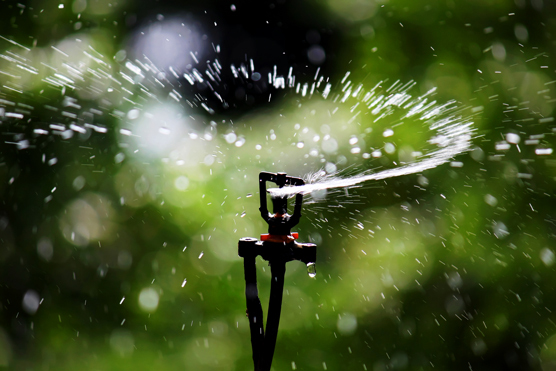 As the weather thaws, days lengthen and plants begin to sprout, we’d like to remind you of the routine maintenance that should be performed on your home this season. This maintenance will help lower energy bills and save you time, effort, and investment of future home repair. Saturday, March 14 was a damp, bone-chillingly cold day, typical of a late-winter day in Michigan. It was a day suited for wrapping up in a thick, woolly blanket by a fire, only moving from that spot when absolutely necessary. It certainly wasn’t a day for losing a source of warmth, like a full head of hair. 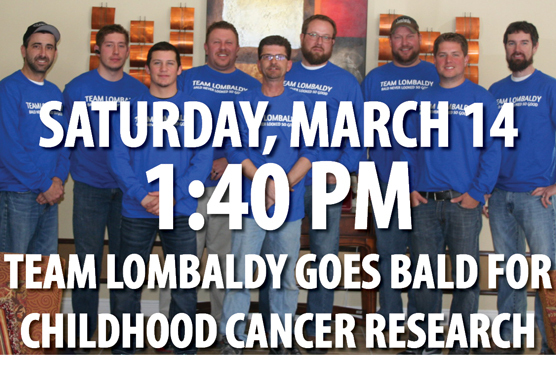 This Saturday, March 14, Lombardo Companies team members are shaving their heads for childhood cancer research! 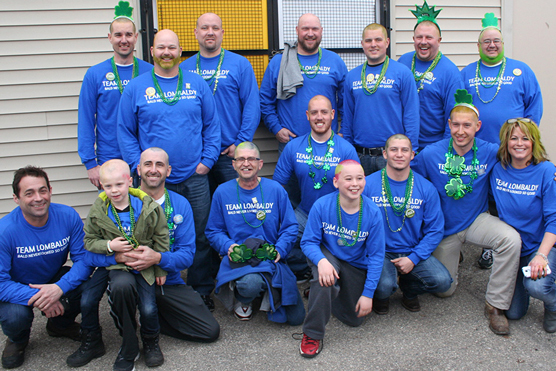 For more than two months, our 15 shavees have been making phone calls, sending emails, collecting donations, and preparing themselves to brave the shave at the annual St. Baldrick’s Foundation fundraiser event in Romeo, Mich.